There’s reason to believe investors may spend more money on income-generating purpose-built rental buildings this year than they did in 2016, suggests a real estate company with a portfolio of properties across North America. “International migration, the aging population and gains in the national labour market will drive demand for multi-suite rental property,” says Morguard in its 2017 Canadian outlook report. In terms of immigration as a tailwind for investment, Keith Reading, a Morguard research director, notes how newcomers to Canada use the rental market as a way to get a sense of their new surroundings before taking on the commitment of ownership. “Often, they (newcomers) don’t know the neighbourhoods very well so they don’t want to necessarily make a permanent decision once they arrive, so quite a lot of new arrivals choose to rent and get used to the city,” Reading tells BuzzBuzzNews. 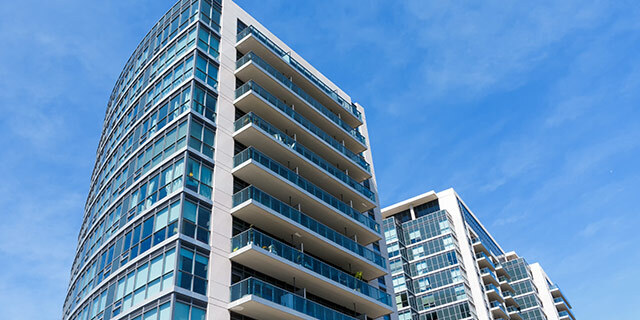 Rental apartments are also an attractive option for Baby Boomers as they downsize. An alternative to buying or renting a condo, Reading underscores the appeal of flexible accommodations for those heading into their golden years. “A lot of people will head toward retirement age and they’re still fairly healthy. They’re not sure whether they want to go to a condo because with a condo you’ve got to sell it… where an apartment, they can rent it typically on a one-year lease,” says Reading. Then there’s job creation for younger Canadians. “We’ve seen enough progress in youth employment to drive demand for apartments,” Reading observes. “What typically happens when your economy is fairly healthy, you tend to get people that are willing to leave home,” he says. “Perhaps they don’t have a downpayment for a house or a condo, though they choose to rent first,” Reading adds. Last year from January to September, investment in Canadian multi-suite residential properties totalled more than $4.5 billion across nine major markets (Vancouver, Calgary, Edmonton, London, the Waterloo region, Toronto, Ottawa, Montreal and Halifax). Morguard only includes properties that sold for at least $1 million. Dollarwise, investment was greatest in Vancouver, where $993.1 million worth of multi-suite residential property traded hands, edging out Montreal’s $969.2 million tally and Toronto’s total of $870.3 million. Whether 2017 is a bigger year for investment doesn’t hinge on investor interest, Reading suggests. “There’s certainly the demand to make it a bigger year,” he says.